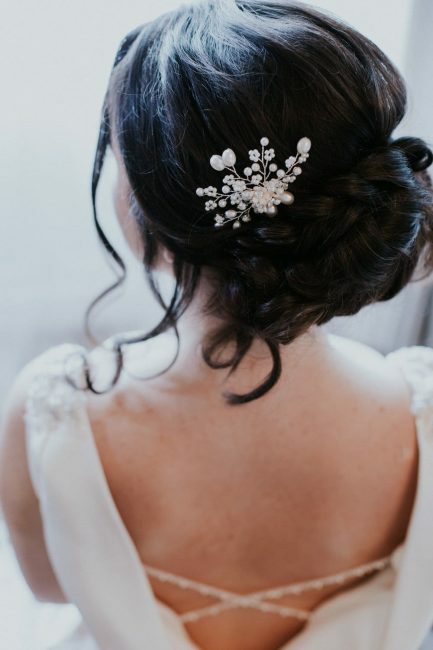 Here you will find a selection of bridal hair pins for every budget. 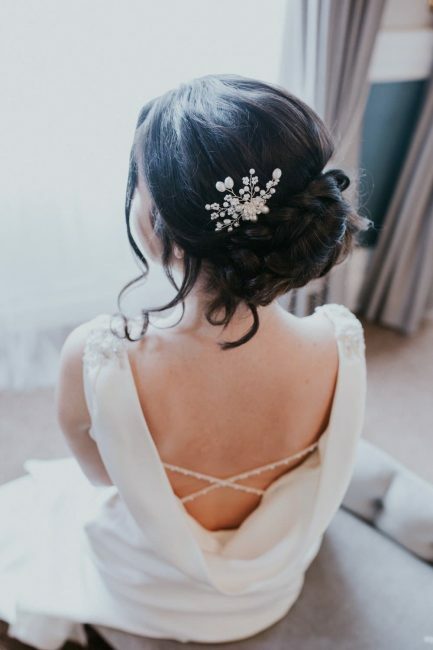 Our range of gold and silver coloured hair pins can be worn singularly or grouped, as shown. 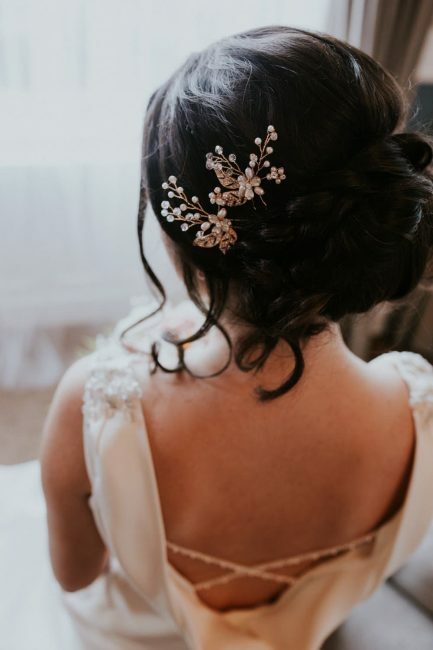 They’re perfect for brides or bridesmaids alike and offer a great value headpiece option. 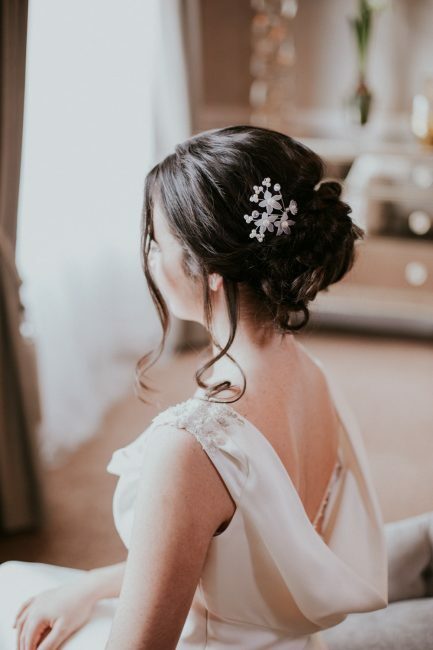 Or we have our inexpensive hair twisties which come in packs of 6 and are perfect for mini bridesmaids and flower girls! 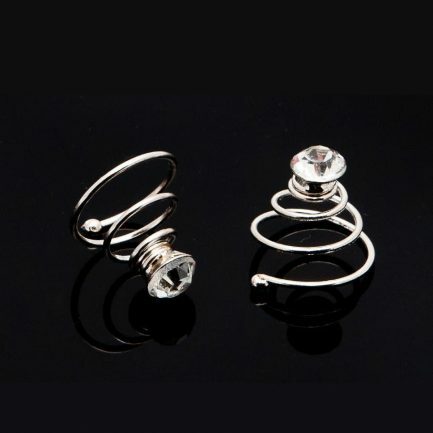 Just twist the little spirals into the hair (hair needs to be up), and twist them back out again! 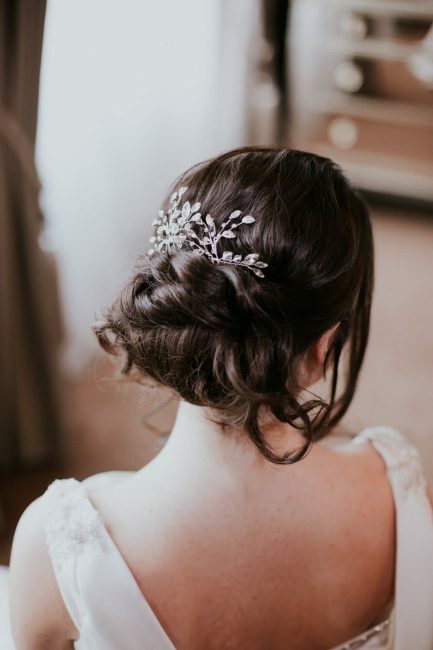 HP4522 is a beautiful silver hair pin with pearls, metal leaves and crystals. 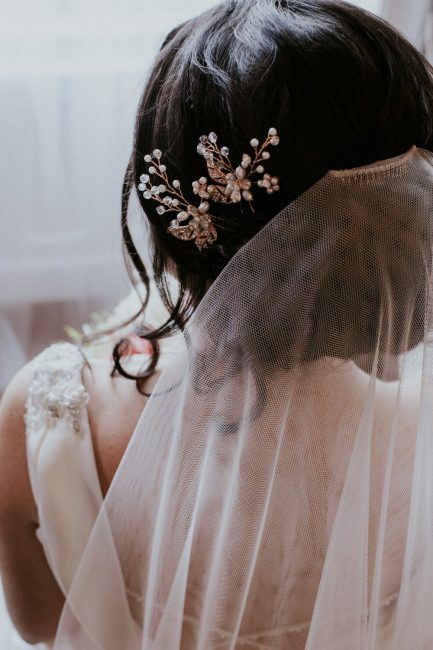 These ultra-versatile bridal accessories can be worn in so many ways – either singularly or in groups, and in almost any position in the hair you can think of, including as a veil topper or a side piece! 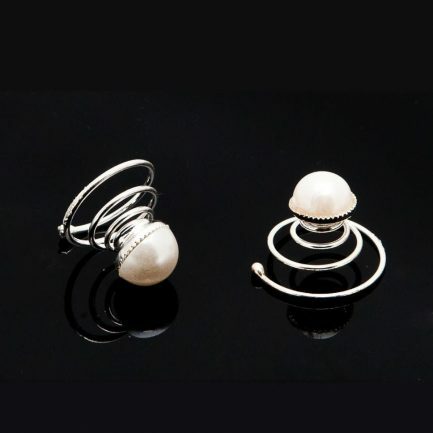 HT491 bridal hair twisties feature a single pearl set on a silver coil that can be twisted into the hair. 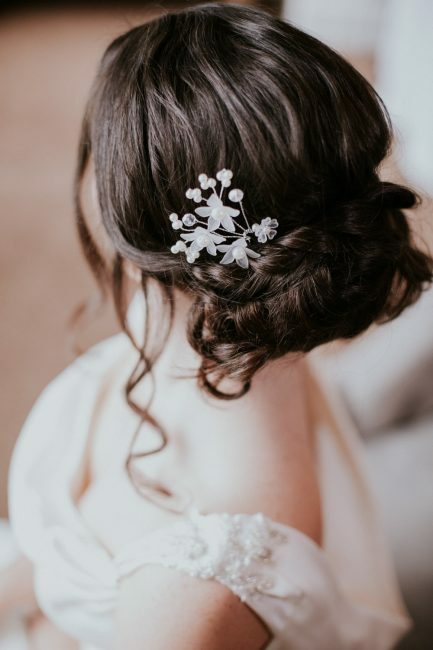 Perfect for younger bridesmaids and flowergirls. 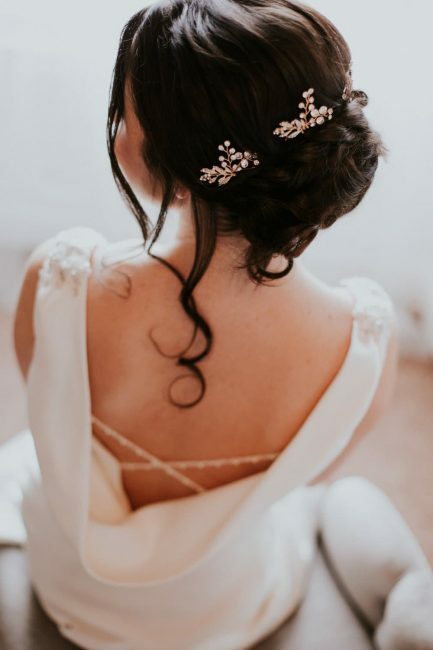 HT175 bridal hair twisties feature a single diamante set on a silver coil that can be twisted into the hair. 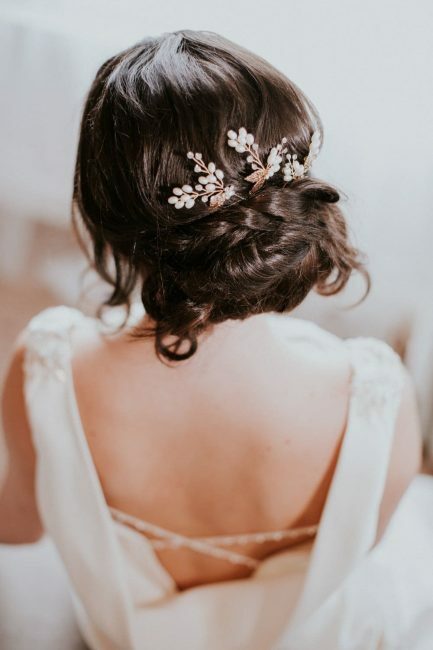 Perfect for younger bridesmaids and flowergirls. 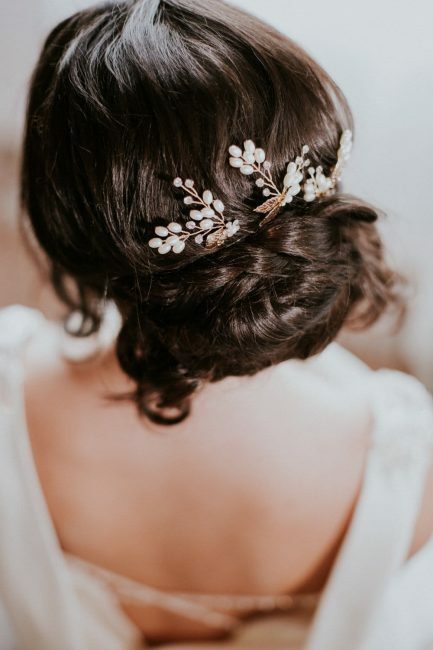 HP4650 is a beautiful gold hair pin with enamelled metal leaves and a central diamante and pearl flower. 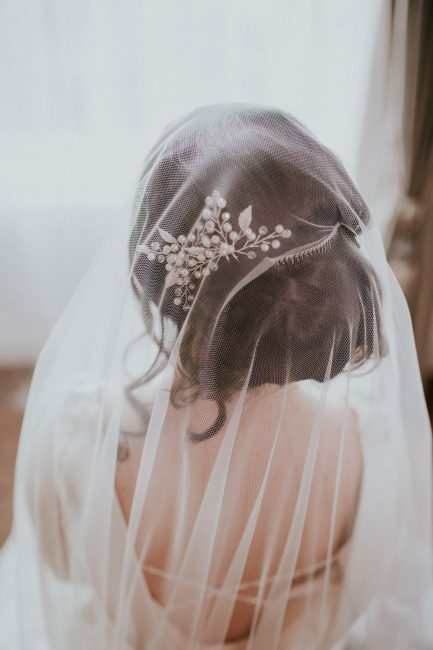 These ultra-versatile bridal accessories can be worn in so many ways – either singularly or in groups, and in almost any position in the hair you can think of, including as a veil topper or a side piece! Note: Hair pins sold singularly. Model wears 3 pieces grouped. 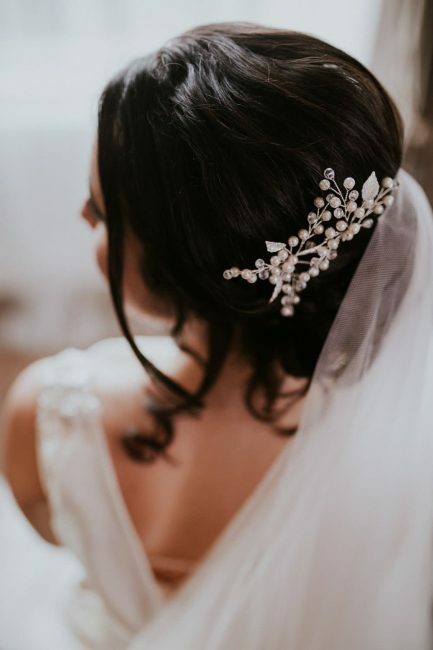 HP4334 is a beautiful silver hair pin with both round and leaf shaped diamantes and crystal leaves. 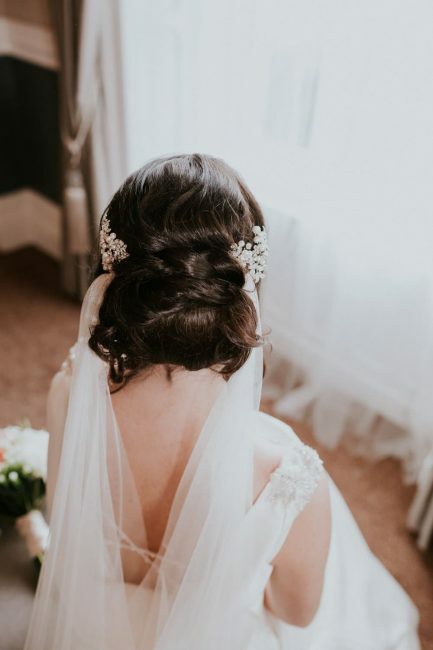 These ultra-versatile bridal accessories can be worn in so many ways – either singularly or in groups, and in almost any position in the hair you can think of, including as a veil topper or a side piece! HP4255 – silver hair pin with pearls & diamante leaf sprays. HP4255 is a beautiful silver hair pin with pearls &amp; diamante leaf sprays. 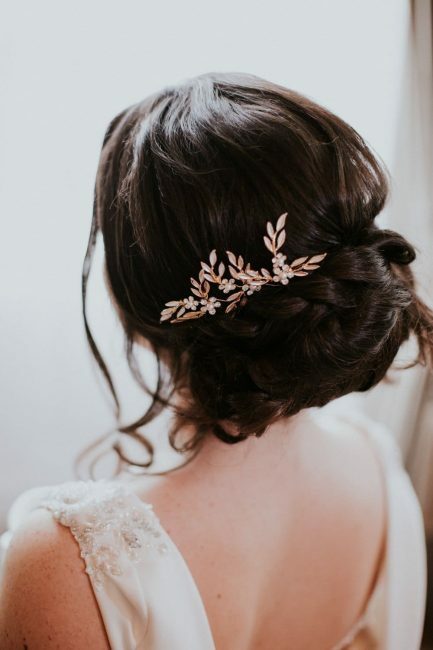 These ultra-versatile bridal accessories can be worn in so many ways – either singularly or in groups, and in almost any position in the hair you can think of, including as a veil topper or a side piece! Note: Hair pins sold singularly. Model wears 1 piece on either side. 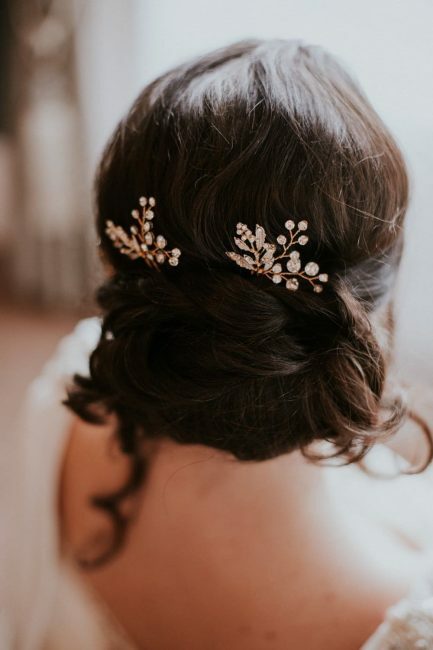 HP4664 is a beautiful gold hair pin with enamelled metal leaves and diamante sprays. 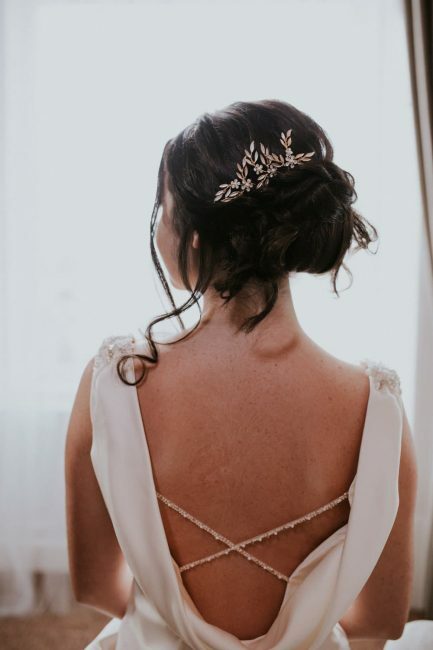 These ultra-versatile bridal accessories can be worn in so many ways – either singularly or in groups, and in almost any position in the hair you can think of, including as a veil topper or a side piece! Note: Hair pins sold singularly. Model wears 3 pieces. 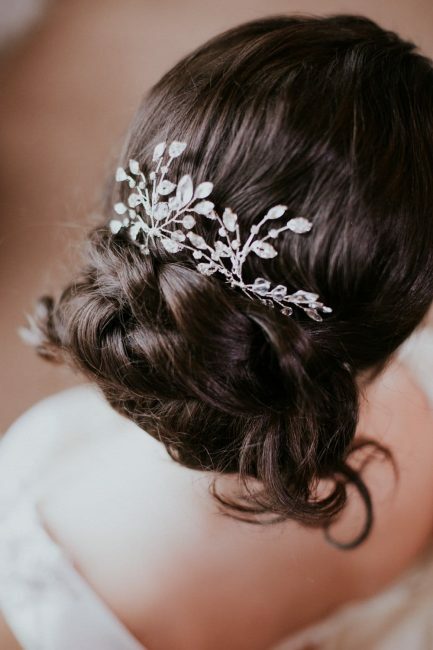 HP4469 is a beautiful silver hair pin with pearls, crystals and frosted leaves. 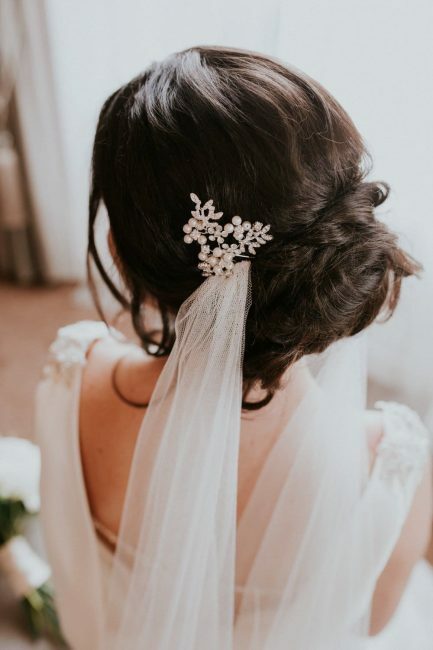 These ultra-versatile bridal accessories can be worn in so many ways – either singularly or in groups, and in almost any position in the hair you can think of, including as a veil topper or a side piece!